Planview PPM Pro provides a top down approach to project portfolio management (PPM) – completely hosted in a secure cloud platform. Innotas PPM software provides visibility into your programs, projects, and people to enable visibility, alignment, and improved execution across your enterprise. Work for Planview PPM Pro? Learning about Planview PPM Pro? "Excellent PMO at a great price point"
It takes a decent amount of time to master the way estimated, budgeted and actual costs are calculated. It all makes sense once you figure it out, but you really have to dig in to get to that point. Don't get caught up in the dashboards at first. Concentrate on the core data related to your key PMO processes. Once you have a solid portfolio of project data in the system, the flashier stuff will follow. We were trying to mature our project management processes and standardize the approach to project initiation and financial management. We have definitely taken advantage of the Innotas platform to establish a project initiation workflow and also use the tool to create dashboards for our monthly meetings to review budgets and costs with the executive team. "Innotas: Great Value for Portfolio Management"
Innotas is easy to use and provides all the basics (and more) for managing a portfolio of projects. The reporting feature does not require a specific skill set (i.e. Crystal) to run. Recently Innotas has implemented new features that allows Administrators to create different types of projects (I.e. project with various data fields) which has allowed for the solution to be extended at an entreprise level. I would like to see a "read only" license be available that would be free. Before Innotas we had over 60 projects that were not captured in a single repository. Creating a single report for project status was painful and time consuming and often done in Excel, over email. With having all our projects in Innotas, we were able to introduce reporting guidelines and schedule and creating a consolidated view which highlights the highest risks project is extremely quick and easy. "Great for real time project tracking"
Innotas offers a one stop place to handle project requests from planning to execution with robust reporting and time tracking capabilities to fully understand major KPIs associated with our resource allocation. Innotas is quite costly which requires us to limit full functionality to a tight list of users. It makes it very difficult to expand our user base beyond those highly integral to our group. We'd like to be able to expand this out to a greater user base to not only submit project requests but to access some of the reporting options. Innotas comes with a rather large price tag. Consider how you want your processes and this tool to work together. Determine which components are key to your operation and move forward with a plan. Like other large organizations, we have a lot of project requests that come through our department. This has allowed us to set up processes to screen projects more efficiently and to determine resource allocation real-time. "Happy with the tool; the rest is on us"
The resource workbench is one of my favorite features. I love being able to see/work on multiple resource allocations at a time (instead of having to go into each project individually. I love the support. This is for me one of the strongest selling points for Innotas. They have proven they are not a vendor who abandons customers after the sale. I also like the self-service model and the options available for self-administering the system (and improvements being made in that area). User access levels - either I don't understand how they work or the options to create meaningful groups to restrict access does not work well. The what-if tool is not capable of handling large scenarios. - ability to edit directives when creating filters - if I start building a filter and realize it's wrong, I have to delete it and start over - would be nice to be able to change "&" to "or" or "is date range" to correct date range, etc. PS - Filters could also be built on a single screen so you don't have to click next, back, etc. - end-user-ready communications so that as major changes are announced, we can edit and distribute notifications without a lot of content prep. Plan to have resources dedicated to system administration (there are lots of updates/release notes), end-user training/communication/engagement, and reporting. This is not a system that you can 'set and forget'. Prepare yourself for the reality that you may set up the system to use certain tools in a certain way and then in a short time realize it doesn't work as you thought. Regardless of the system you choose, strategize around staff adoption (or transition) and engagement. Visibility into the work in progress, work in queue, and resource utilization. "Innotas helping us with our Project Management maturity capabilities"
Make sure you understand your requirements for a PPM solution. Innotas is a very good product but there are differences if you are moving from MS Project to Innotas. Make sure you understand what those differences are. Lastly, make sure you get support from our leadership team. Our implementation was successful because our CIO is a firm believer of needing a world class PPM solution. • There was no way of having a consolidated view of resource allocation across all projects, viewing resource capacity or forecasting resources availability. This is done manually using spreadsheets. Innotas is a very robust portfolio management system. The reporting and dashboarding capabilities are great and almost endless. It must be noted that it does not have effort based planning capabilities at project management level. It is great for companies just establishing their project management office or philosophy. I would highly recommend cloud hosting since this will save a lot of implementation hassle. The Innotas implementation team did a very good job. Having a single point to document all project related activities. We currently use this tool for all time entry (both project and prod support). "How is the average rating so high for this product?!?!" I am giving this product a 2 just because of it's potential. I'm writing my review from the perspective of a Project Manager/User working as a consultant for a local city government. I have been using MS Project for many years, and the transition to this product is PAINFUL. I have been using Innotas for about 9 months, but it's not something I enjoy, and so I use it only as much as I have to...in fact, as a PM, I have to continue to use MS Project, otherwise I'd spend way too much time making updates to my Innotas project plan tasks. - It's web based, which I generally consider a good thing; however, everything requires a click, and I get the spinning wheel to let me know it's updating...so, any time I'm trying to update my plan, it takes a long time....for every change. I know "long time" is pretty generic, but from a usability aspect, it's just terrible. - Using chrome, my task rows aren't aligned, half the page is lower than the other side; doesn't do that in IE 11. My last and only input for Chrome...there are others, but focusing on IE issue at the moment. -Using IE 11, inserting a new task is cumbersome...click task, right click, insert new task, enter...scroll down (have to scroll again after every entry) to newly inserted task..where did it go, Oh, it inserted my new task somewhere else on the task list...oh good, at least I can click and drag that new task. I am an end user, not someone that would be trying to "solve" any problems or doing benefits realization evaluation....I simply want to provide a review from my perspective. "We use Innotas for resource management"
the reporting functionality, while extremely comprehensive, is ultimately much too complex for the average person to be able to create reports and successfully get the data they want. we are trying to better understand our resource capacity for taking in new projects. We utilize the request setup for our project intake process. This is a very helpful tool for us. I am not a big fan of the reporting tool as it seems a little cumbersome. We are trying to have one place to go look at projects and handle all the management of them from the budget to the resources. So we are able to manage projects from cradle to grave. Hello, as you submitted this review anonymously we are unable to see who you are, but we would love to help you with your identity management issue and walk you through the reporting roadmap! We would be happy to coordinate those steps with you if you can provide us with your contact information. Alternatively, you can reach out directly to your Account Manager to help facilitate those steps, or open a case in the Customer Community portal. We hope to hear from you and to be able to help you out! I have recently started using the resource workbench, which is a great tool to see how my staff are allocated on a monthly basis. Entering in a project has too many required fields. Setup filters for your teams so they can easily find their projects and see their portfolio. We have high demand from our customers to execute projects, and Innotas helps us track our portfolio. "Won over by its support"
Innotas provides a surprisingly excellent amount of end user support. They hold frequent seminars led by thought leaders, have a good community support platform, and respond timely to questions and issues. It syncs ok with MS project - occasionally a little buggy. It appears to be marketed to executives so good for portfolio management, a bit burdensome for project management, not good for team collaboration. Innotas seems heavily driven for add-on sales. Their frequent seminars are followed up by calls from account managers. Interfacing data with other systems is really only possible by paying for their consulting support to build API connectors. This has been a bit bothersome because the reporting isn't fabulous and users who want to manipulate and re-use the data in novel ways are limited. One example would be creating a charter. All data for a charter can be captured in fields, however they cannot be easily pulled to generate a document for posting. Portfolio management for intake and demand / capacity management. "Innotas as a PPM tool"
It is now not possible to post published dashboards on external sites like intranets. This was a very useful reporting method previously. We wanted to see all of our projects and their health in one place, be able to easily modify and update that data, and report on them conveniently. Innotas has helped on all those fronts. We now can make more informed decisions, more quickly using Innotas. "Great tool but needs better reporting tools"
I like Innotas for its robust capabilities. I dislike that the reports that come out of Innotas aren’t print ready. They don’t come straight out of the cloud ready to print for executives looking clean and easy to read. Tracking internal project management hours for internal billing and reporting to management. "Innotas is like having an additional analyst in our PMO who helps us do our jobs better." project planning can be easier to use. Some of my users still prefer MS Project. Really easy to use interface. Able to assign tasks to project stakeholders and much better format to track in than a spreadsheet. Not much room for customization beyond the basics. Helps with time tracking to better understand and plan for our business needs. This product is easy to use for all types of users. "MS Project for the cloud"
It's nice being able to access this software via a browser. It's kind of clunky in design and does not have an intuitive baseline functionality. 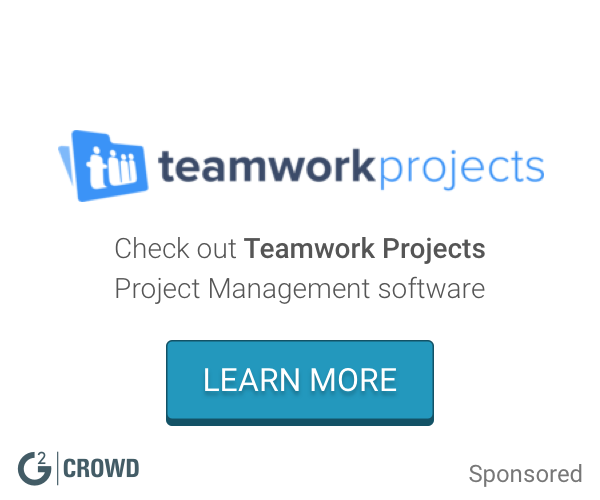 "Works for traditional project management"
* We monitor all Planview PPM Pro reviews to prevent fraudulent reviews and keep review quality high. We do not post reviews by company employees or direct competitors. Validated reviews require the user to submit a screenshot of the product containing their user ID, in order to verify a user is an actual user of the product. Hi there! Are you looking to implement a solution like Planview PPM Pro?